GQ has a lengthy Keanu Reeves profile out today in anticipation of John Wick’s third killing spree. 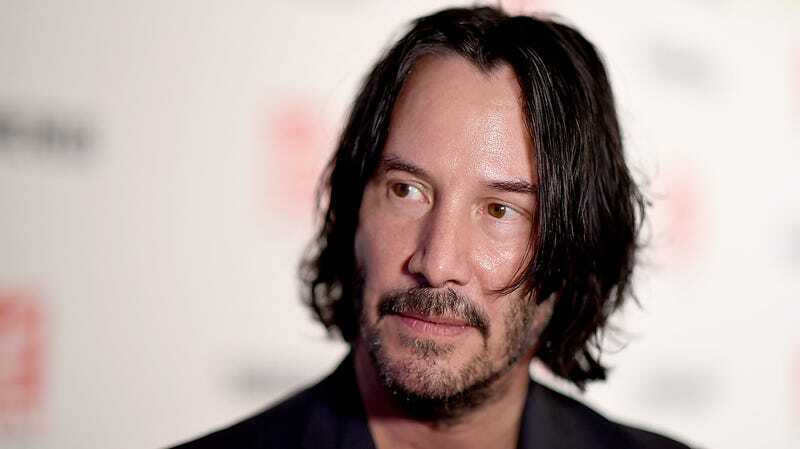 Throughout, the eternally delightful Reeves delivers plenty of the unforced humility that makes him easy to root for, but here’s a particularly good tidbit among many: Keanu says he found himself effectively blacklisted from Fox productions for the better part of a decade because he passed on Speed 2: Cruise Control in favor of a local production of Hamlet in Winnipeg. That sorta checks out. Reeves most certainly did not appear in the Speed sequel, having been replaced by second-string ‘90s drama guy Jason Patric. And Reeves did indeed star in a Winnipeg production of Hamlet in late 1994 and early 1995, photos of which you can and absolutely should see. Speed 2 was a bomb, hurt by the absence of Reeves and, we’d like to add, original screenwriter Graham Yost. Also, it does seem that Fox decided to freeze Reeves out: It was 14 years until they’d bring him on 2008's The Day The Earth Stood Still. It is, however, worth noting that Speed 2 started shooting at the end of 1996 and, at the time Reeves was trodding the boards as the prince of Denmark, you could probably still catch Speed at discount theaters. What Reeves did shoot as Cruise Control was unfolding was 1997's The Devil’s Advocate, a film for rival studio Warner Brothers that maybe had more to do with his blacklisting than the Manitoba Theatre Centre’s Hamlet. Still, time is tricky in these kinds of scenarios; it’s very likely that development on Speed 2 was supposed to begin much sooner, and that his trip to the Great White North gummed up the works. Somewhere, we’d like to imagine, some producer is still lamenting the time Reeves bailed on a studio tentpole to pontificate at a skull in Canada. Check out the rest of the article over at GQ for more on Reeves, including his thoughts on the appropriate bread for a BLT sandwich.